We make all types of Brass Electrical Components like; Brass Cable Glands, Brass Neutral Bar, Brass Terminals & Connectors and Brass Electrical Plug pins & Sockets. 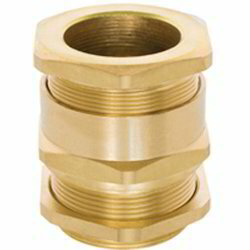 We are leading manufacturer and exporter of all kind of Brass connectors, Terminal Blocks and Neutral Links. 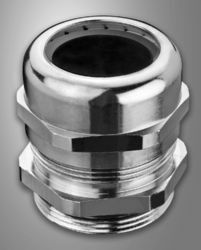 Our terminal connectors are manufactured under specified tolerance with wide range of raw materials, threads, size, standards and platting. Brass connectors, Terminal Blocks are mainly used as accessories in Electrical Wiring Boards and Panel Boards by various industries like Electrical, Electronics & Telecommunications. It is a considered as main component in making MCB, Switchgears, Circuit breaker, RCD , Brass Terminal for PCB Switch, Brass Terminal for MCB Switch, Brass Terminal for Electric Connector, Circumference Diameter 1MM to 800MM with length of any size. Apart form standard Terminal for PCB Connector Block, we develop customize Terminal for PCB Connector Block as per technical drawing or other relevant data. Electrical Pin, Plugs & Sockets, Phase Socket, Neutral Socket, Earth Socket, Phase Pin, Earth Pin. All above items available in 125 AMP, 63 AMP & 16 AMP. Free Cutting Brass IS 319 Type (I) or BS 249 Type (I) or High Grade Brass. Looking for Brass Electrical Components ?